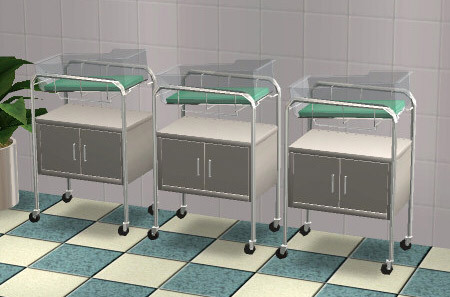 ...also @fanseelamb -- on the same page is a hospital baby bassinet! Unfortunately... the moose head was NOT very high-quality. =( But just about everything else there (mostly TS2 with a sprinkling of TS1!!) appeared to be really well-done. Thanks gE. I've had these from Og for quite a while, but it's always good to have them pointed out. Cool, thank you grin! I will check that out in game. Very nice!!! I am recreating the Sims 1 neighborhood in Sims 2. This is great! Thanks for the link.